According to reliable information from a Chinese supplier, the LCD glass surface of the iPhone 7 to be released by Apple as the next model will be the same as that of the current model. However, a Deep Blue Color will probably be added this time. 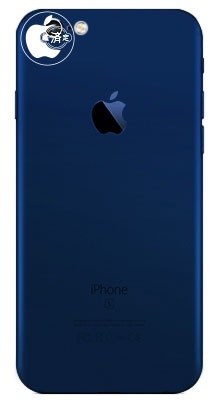 As a Deep Blue will be added to the current Silver, Gold, and Rose Gold, it is highly likely that the Space Gray will be discontinued, says the informed source. [Update] : I have heard another information that space grey would not be disconnected, but would be possibly updated to much darker color. Also, the new color would not be deep blue, but possibly formal black which is close to black.